Our Abstract Emotions - New Meme is a new offering from Confessions of a Housewife. This week, we were asked to find a picture that describes how we're feeling. 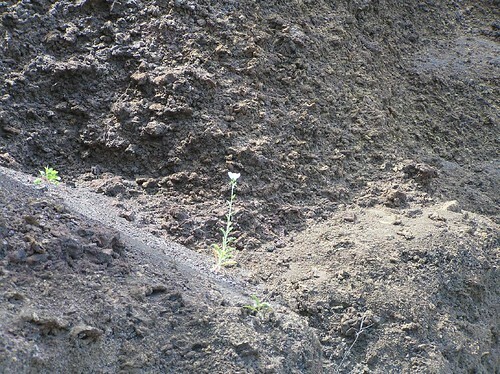 Here's a lonely flower amid a rough landscape. what a meaningful picture!! Great find! And thanks for participating! You Can't Stop the Beat...or Can You?